Gamification has much effect on motivating your users by encouraging them to contribute more content to the community in order to receive rewards in return. This concept is similar to game playing and it offers a good effect for community engagement. phpFox provides tools for you to encourage your users to do more actions on the community. That’s the activity points system. 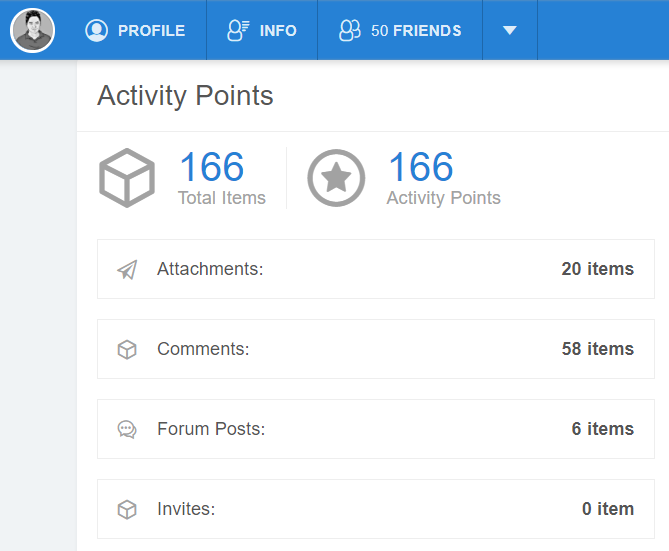 You can fully customize the points your users receive on each action from inviting, commenting to creating a new item. You can also configure the conversion rate to convert the activity points to real money. Giving gift is the perfect way to tell friends that you love them so much. We provide eGift to allow your users to do this. You can manage all gift’s categories and define the valid time for each category. You also can add as many gifts as you want and configure the price for each gift. 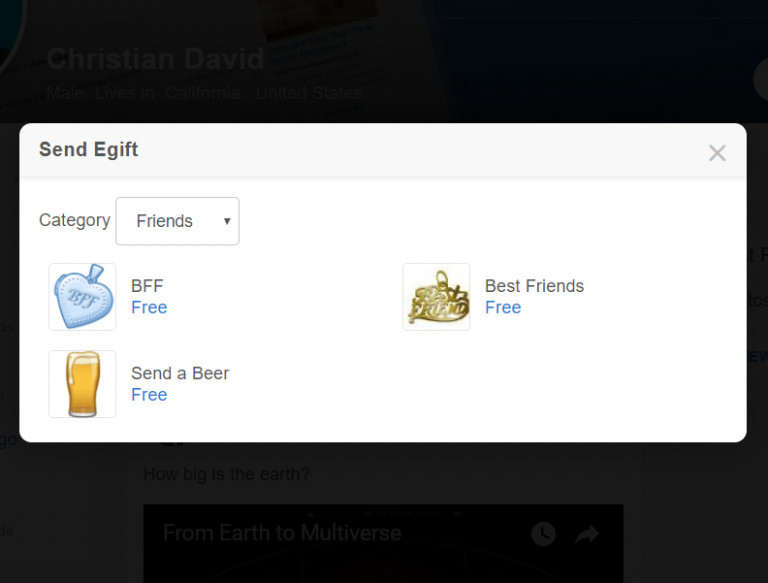 So when your users want to send gifts to their friends, they have to pay for these gifts. To encourage your users to do more activities in your community, you can also configure to promote some users to be a higher level which has more privileges if they win specific activity points. This promotion will exist in some days as your definition. 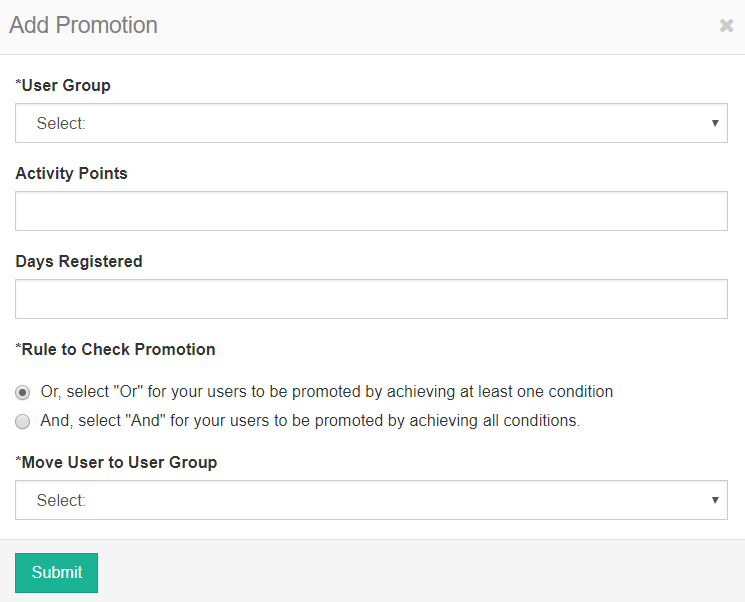 You will also define that the user is promoted from which user group to which user group.